For Insomniac, 2011 was been full of new beginnings, from finding a new home for EDC to the debut of Escape from Wonderland, and everything in between. As an incredible year comes to a close and an even bigger year launches for Insomniac, we are excited to celebrate it with our fans on New Year's Eve and New Year's Day! 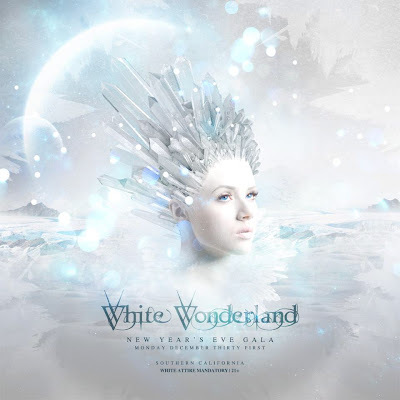 We invite you to fall down the rabbit hole with us once again and experience Wonderland in its most pure and sparkling form: White Wonderland, featuring a massive stage of music, spectacular theatrics, and state-of-the-art production, creating an all-encompassing winter wonderland experience. 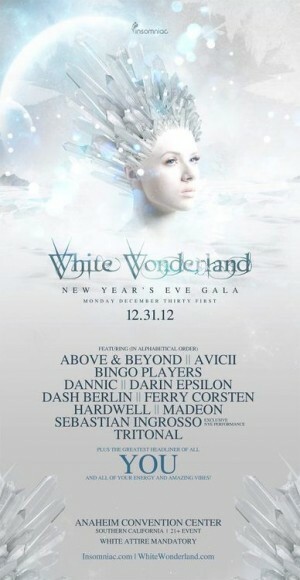 We are excited to bring the first grand-scale white party concept to the US. White party EDM events occur all over the world, and America deserves to have one too!